Austrian teacher and journalist; born at Prossnitz, Moravia, June 29, 1829; died at New York May 3, 1897. He was educated at various yeshibot, and, after completing his studies at the University of Vienna, he taught in the Talmud Torah of his native city, and at Boskowitz and Vienna. In 1854 he went to Paris, where he remained until 1863, teaching in Derenbourg's school for boys and in Madame Cahn's school for girls. 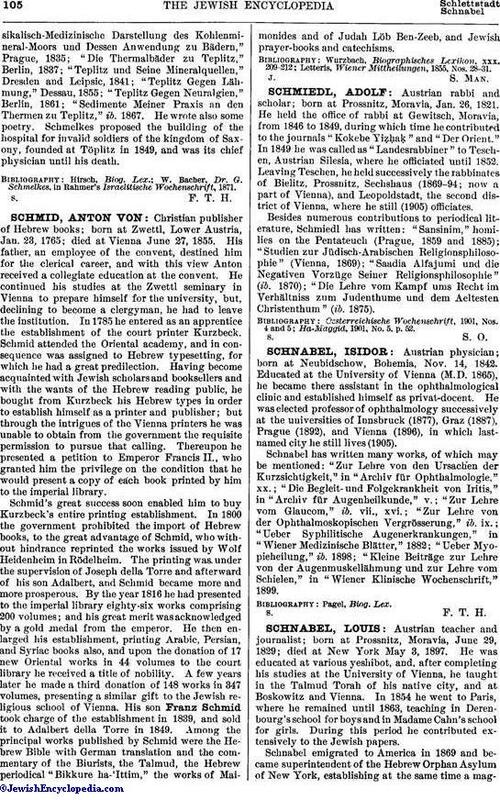 During this period he contributed extensively to the Jewish papers. Schnabel emigrated to America in 1869 and became superintendent of the Hebrew Orphan Asylum of New York, establishing at the same time a magazine,"Young Israel," which existed for eight years. In 1875 he became principal of the preparatory school for the Hebrew Union College; and in 1890 he took charge of the English classes for Russian immigrants established by the Baron de Hirsch Fund. He was the Hebrew instructor of Emma Lazarus. 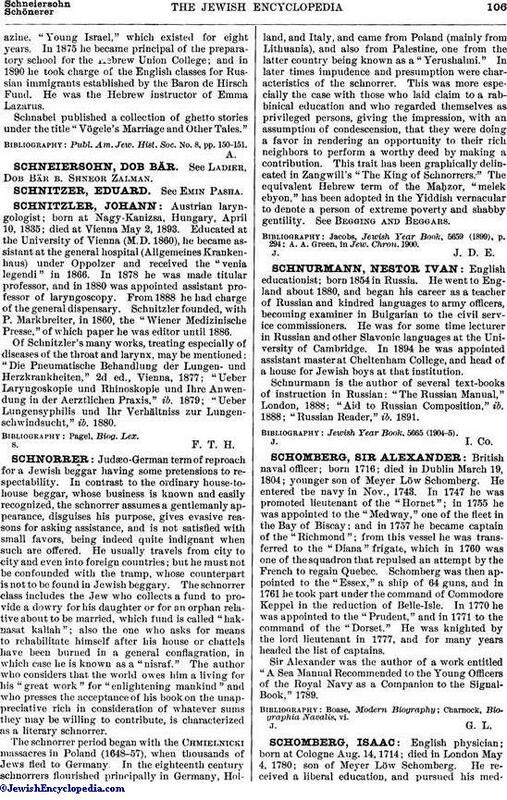 Schnabel published a collection of ghetto stories under the title "Vögele's Marriage and Other Tales." Publ. Am. Jew. Hist. Soc. No. 8, pp. 150-151.